$195 for the pair. 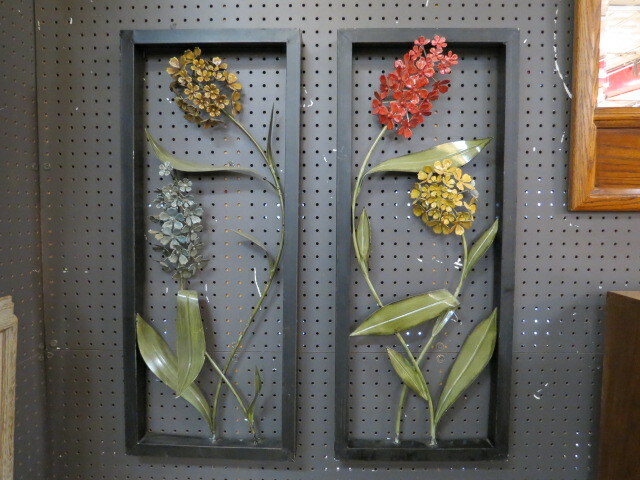 Vintage mid century modern pair of metal flower wall art, c. 1960. Black metal frame with metal flowers placed inside. Colors of red, purple, blue, gold, green. Very unusual. Perfect for your gallery wall. Very good condition. 13in wide, 2in deep, 32in tall.